Looks like Bernin still holds a grudge against his father. Without Ember and Cole, Bernin’s started down a darker path. Yeah Bernin has become a very dark person…. Oh and are we ever going to see Cole again? Probably not, or probably when Bernin decides to fight flint once and for all and Cole shows up to interrupt. But that raises the question, since Bernin thinks she’s either dead or with Flint and cole, will he attack her or feel relieved and hug her? 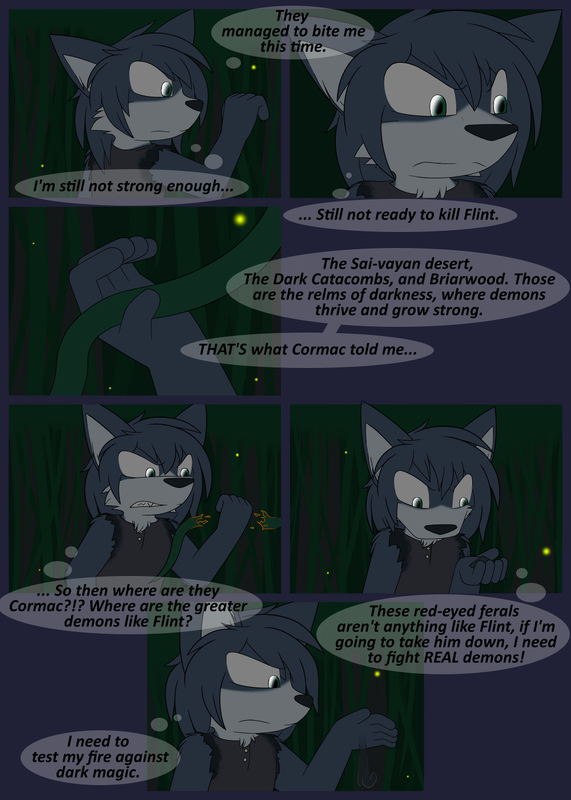 I think that depends on if Embers eyes are red but I also don’t think he is capable of hurting Ember as well be cares too much about her, yes he may have abandoned her but that was only because he knew he was no match for Flint, I think behind that tough guy act is a wolf who regrets he could not save his sister or brother. Yeah. Deep down inside he would still know that she is still the Ember he knows and wouldn’t dare hurt her.